I usually don't like listening to abridged versions of books, but in this case I'm soooo thankful that I only wasted three hours of my life. I expected much more from this novel in terms of historical context, character development, and a glimpse into the world of 18th century opera. What I received was an atrociously bad romance novel populated by despicable, two-dimensional characters playing out a melodrama against a cardboard backdrop. Moreover, Tim Curry's narration was so ridiculously over the top that I could barely stand it. 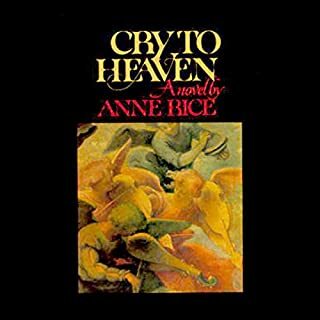 Unless you are a diehard fan of Anne Rice, pass on this one. Otherwise, you will be crying to get your money back. Terror sprang. Without excusing the barbarity of September 11 and other atrocities, he helps us to question the simplistic label of "terrorist" and to understand Al Qaeda's true aims. This book was a fascinating look at the complexity of political and military maneuvering on both sides, as well as with other nations. Who is an ally? Who is an enemy? The answers are not so simplistic as we've been led to believe. 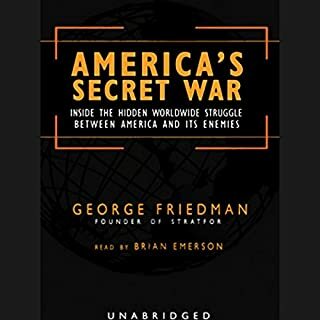 If you want to understand the world that you live in, you must read America's Secret War. 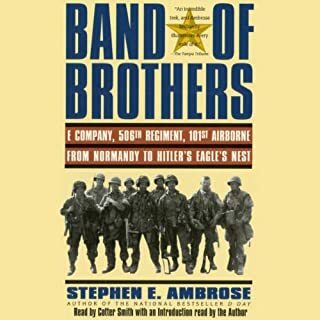 I'm not a fan of abridgemens, and this version of "Band of Brothers" reminds me why I'm not. Although this audiobook is extremely well-produced, and Cotter Smith's narration is flawless, I missed the details I'd seen in the HBO miniseries. I wanted to know more about the men, more than the miniseries told; on that score, this abridged audiobook came up short. I wish now that I had read the full book, and then watched the miniseries. Ah, well. This was a quick, complelling listen.